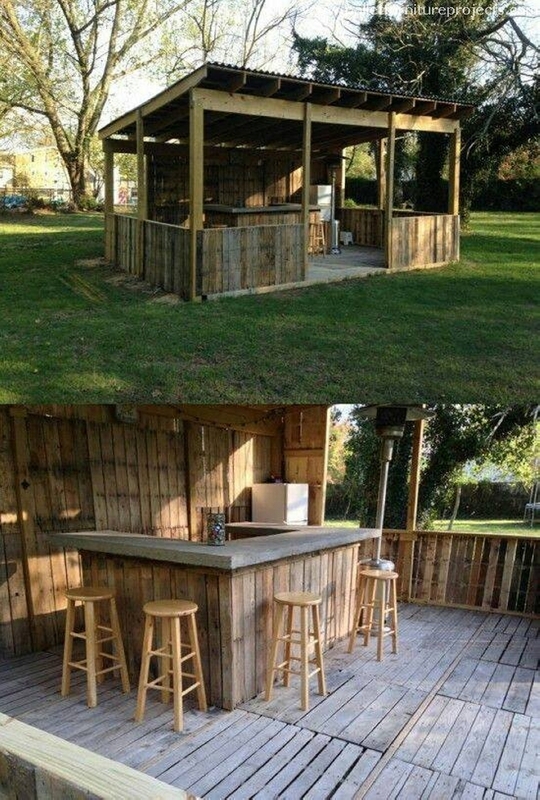 What exactly do you conceive from a wooden bar table or simply a bar? Well, to many this could be that pleasant place where we head after a long hectic day and have a peg or two to drain out all the tiredness and fatigue, and spend some quality time sitting there. But basically this is associated with that large wooden desk that we usually see on the front, that is called a bar table. 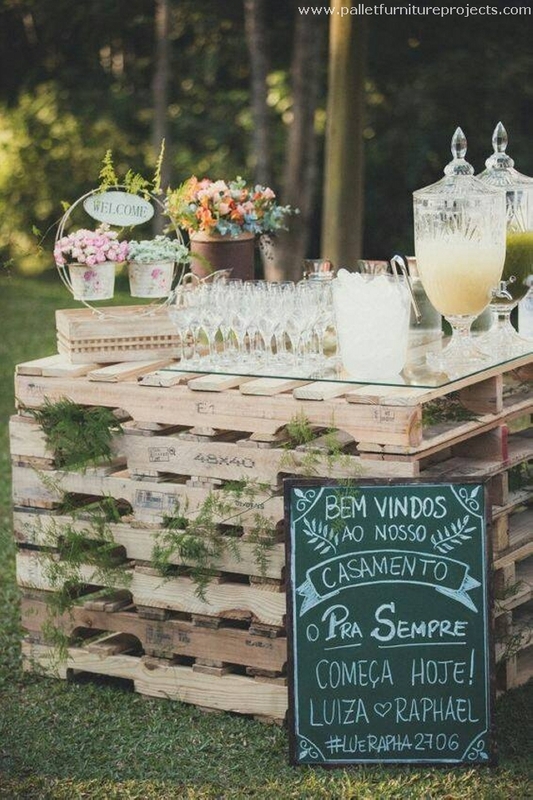 You guys know that we have already made a number of wooden pallet recycled bar tables with the pallet wood. Here are some more of them. 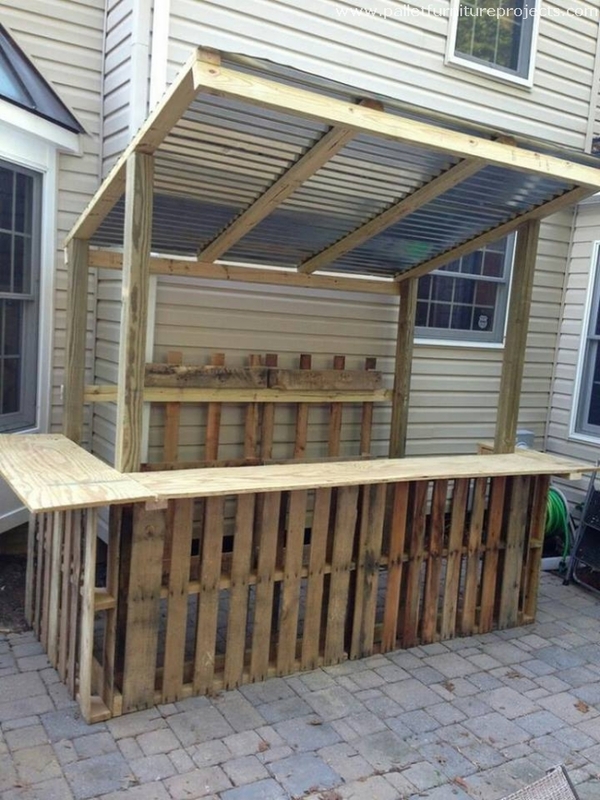 Well, this is a whole big comprehensive outdoor plan where a full fledge bar is created all with the same pallet wood. And when we get inside it, a very decent pallet wood bar table awaits. 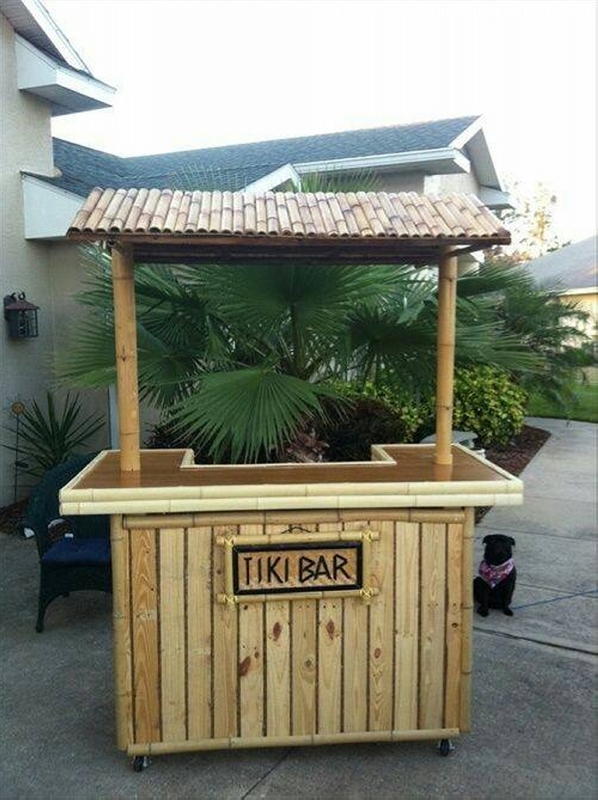 It has got it all to be an ideal wooden bar table. 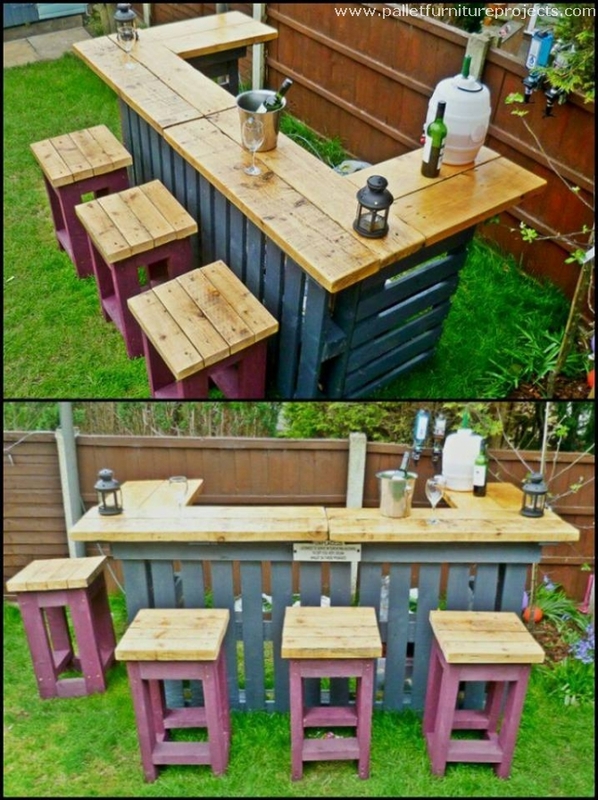 These bar table inspirations are actually an effort to sneak inside the pallet recycling world and show how bigger it can get. 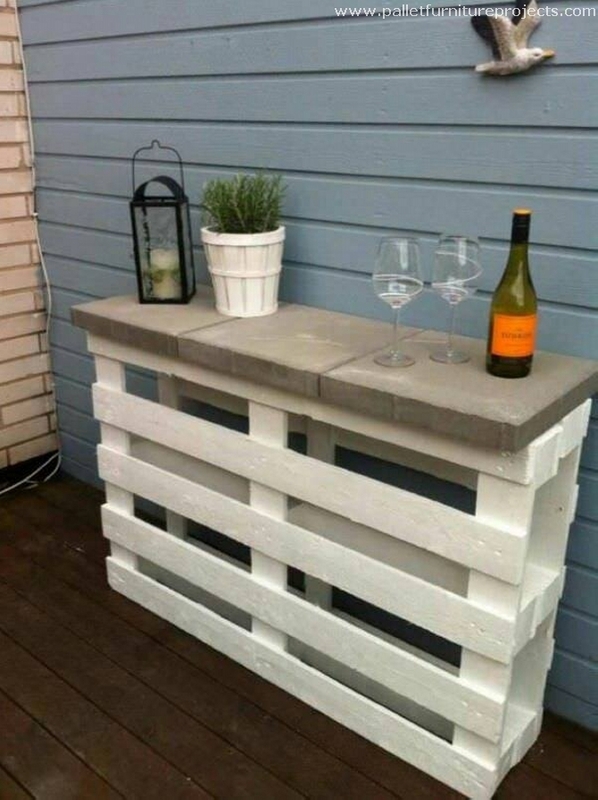 You can opt any of these wooden pallet bar creations for your own house and create the atmosphere that you wish to enjoy outside. This bar table is closer to the hallway table or a mere side table. Though the pattern and design is much similar to that of a wooden bar table. 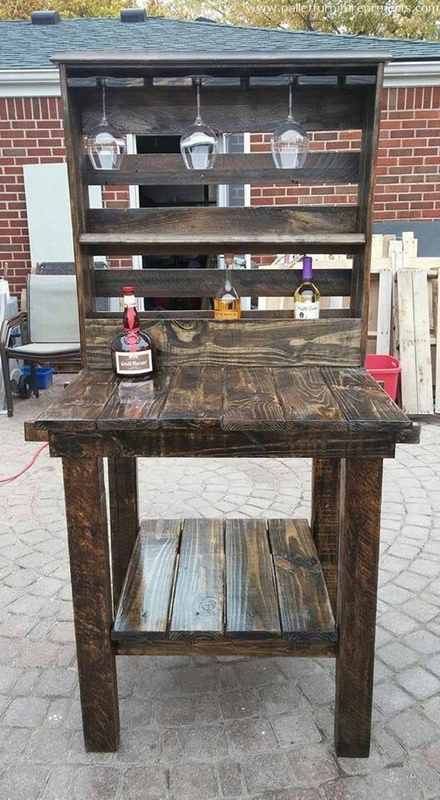 The base is all made with the pallet wood planks while the table top is made using some concrete blocks to give a new look. 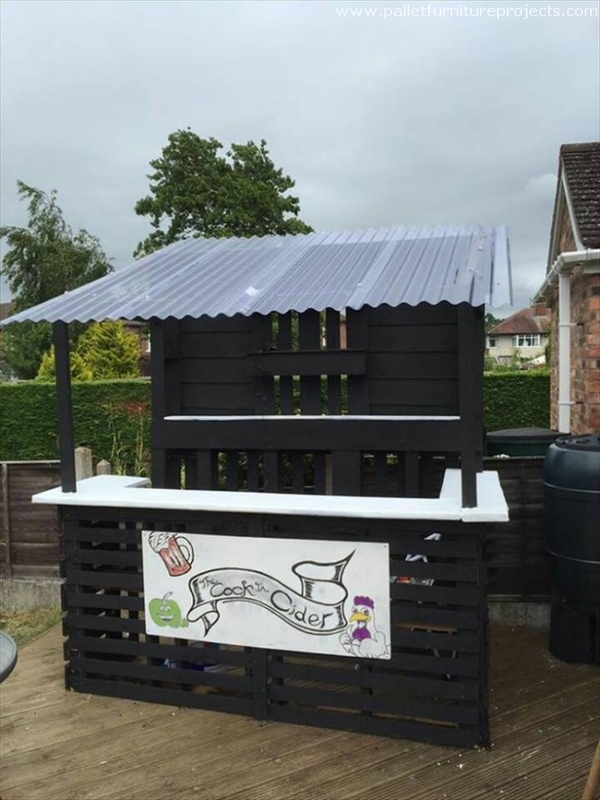 This is again a full fledge bar made with the pallet wood outside in the patio. This makes it a perfect site for the party. The entire compartment or cabin is made with the same timber, this certainly took a reasonable time to complete, so be patient while planning to recycle this one. And here comes the simplest of all pallet wood bar tables. We really had not to work hard on the measurements and cuttings etc etc. what we did actually, we just grabbed pile of some freshest shipping pallets, we placed them in an order of one on another making a high pile up, and covered it with a glass top, so simple. This one is decent I think. This can also be used for the family as well like the kids might have some ice cream shakes served on this, or some other beverages of their choice. That’s why we have painted the entire range accordingly in a very colorful way. 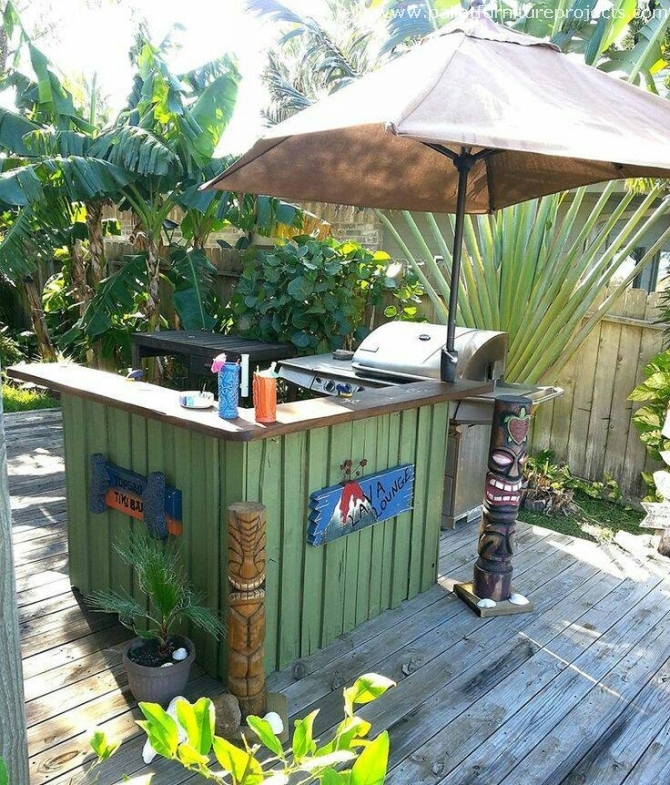 You know what, the best part of this wooden bar table is the top or umbrella that has covered the entire table. It would prevent us from the direct sun rays while the work. Wheels on the base make it mobile and the job much easier for us. And here again we see a perfect party spot. This time don’t go to some café or bar in the down town, but invite all of your pals right at your own place and show them how great carpenter you are and how gutsy as well.